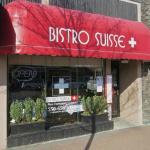 Description: Bistro Suisse and proudly offers a wide selection of classic Swiss and European dishes. 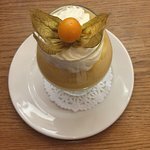 Food made from scratch and served with love make the culinary experience in this casual fine dining restaurant located in the heart of Sidney so unique! 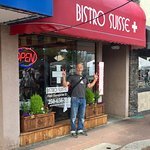 Our son lived in Bern Switzerland a few years ago so we enjoyed many wonderful meals there and this one was comparable in a sea side setting in BC. 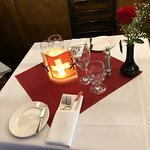 Popular so advised to make reservations - great Swiss food but they have a roast beef/yorkshire pudding special on Fridays! The service was outstanding and the the setting is very authentic. Thank you, Smithsandbrowns, we appreciate your frequent patronage and spreading the word - nothing more to be added! See you soon again. 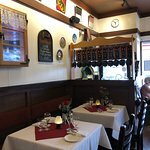 We have been here several times and are never disappointed with the food or service. So tasty and presentation is beautiful! Would recommend this to anyone. Thank you 123joybells - hopefully many more times! We truly appreciate your feedback and patronage. See you soon again. Stopped for lunch on an impulse and was very impressed. My friend had their soup and sandwich lunch special and it was very generous - shared the BLT sandwich croissant with me; I had a large bowl of French Onion Soup which is a favourite of mine. Will definitely return!! Thank you, chosen46, for checking us out and leaving us this great feedback. 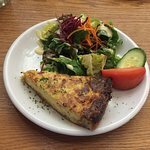 We are looking forward to seeing you soon again, be assured there are many more delicious dishes to be explore! After perhaps 20+ visits, all great I can vouch for how great the food and service are here. 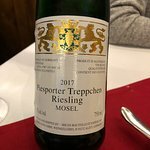 I’m German and can tell you the food here is the real deal. Our favourites are the pan fried homemade schnitzels. Many to choose from both in pork and veal. Make a reservation. Thank you, D. or I should probably better say 'Vielen Dank', for this great review. It's of course a pleasure and honour for us seeing you come back so frequently. We appreciate your loyalty. 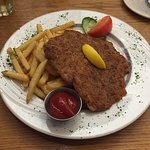 You're in great company as many of our customers come back to enjoy one of their favourite schnitzel. On this note, our selection does even go beyond pork and veal and also offers chicken, beef, lamb or fish schnitzel. Hopefully something for every palate. 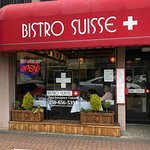 Been to Bistro Suisse? Share your experiences!